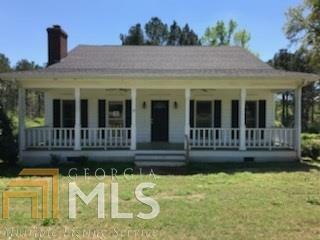 3 bedroom 2 bath home on over an acre lot. Quiet area close to recreation. Rocking chair front porch, screened rear porch, 2 car carport, and concrete driveway. Some visible discoloration was cut/removed. Some may still be present in or out of sight. No formal remediation was done. No before/after professional reports are in hand. Buyer to conduct due diligence This property may qualify for Seller Financing (Vendee). Courtesy of Riverbend Realty Inc.